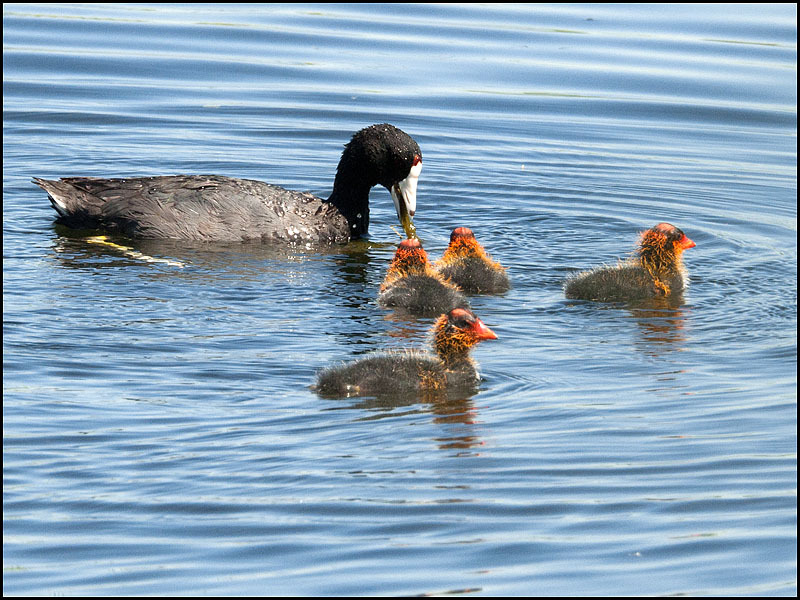 The bright colored babies make quite a spectacle. 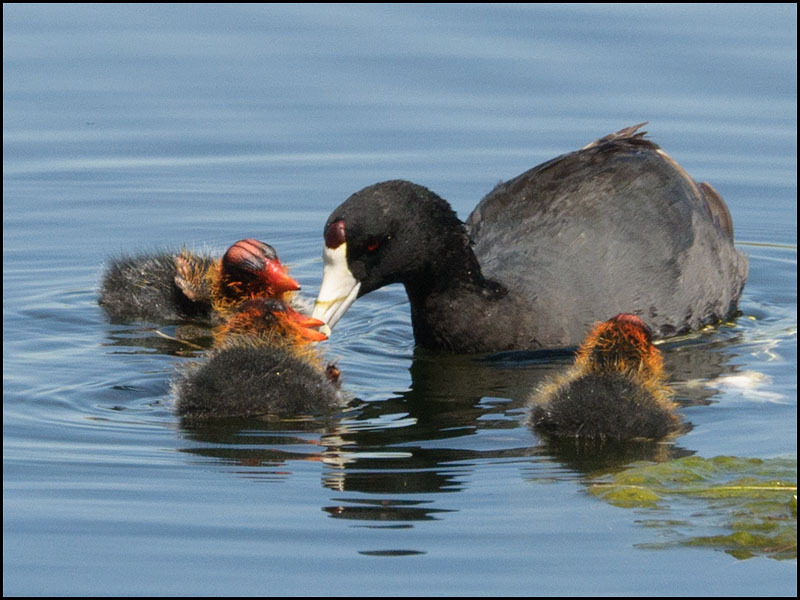 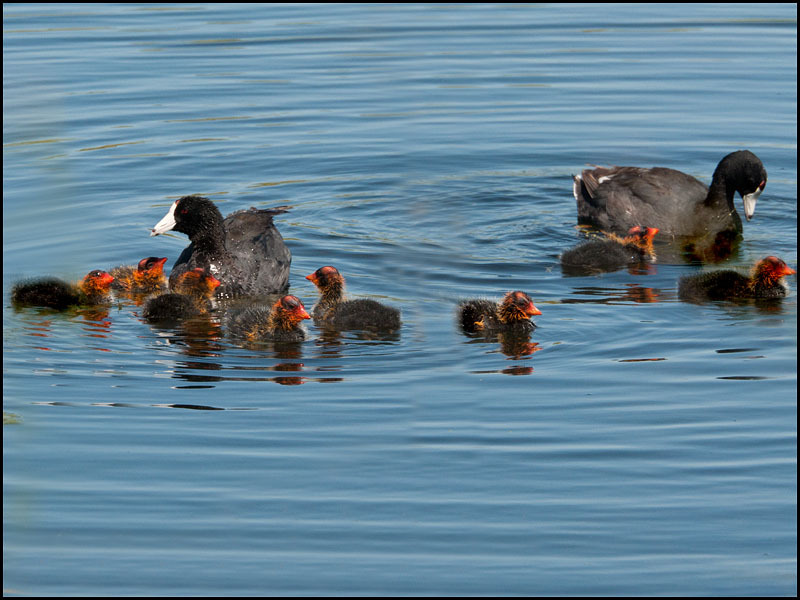 Coots are very prolific birds, as seen here. 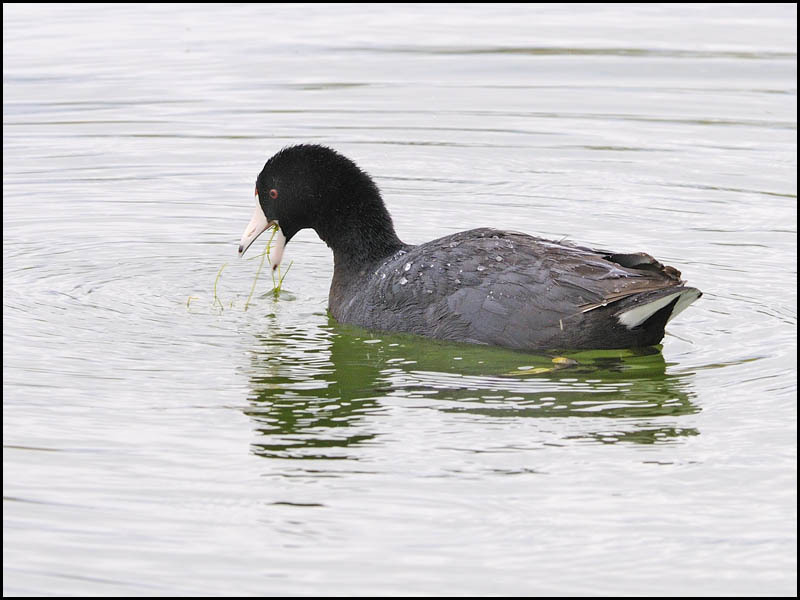 To me, this is a strange looking waterbird, here consuming aquatic plants after having dived for them. 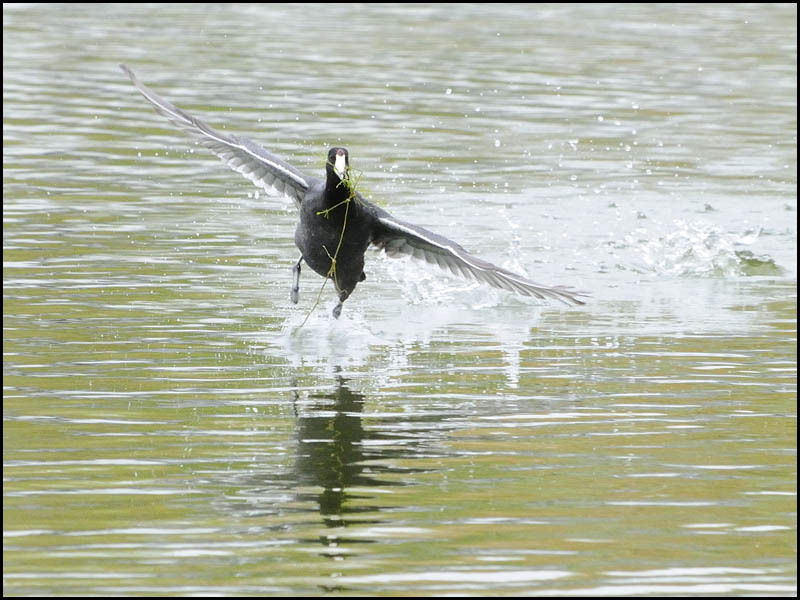 This coot was confronted by others who wanted its aquatic prize, so it moved on, simultaneously using both feet and wings, running atop the water! 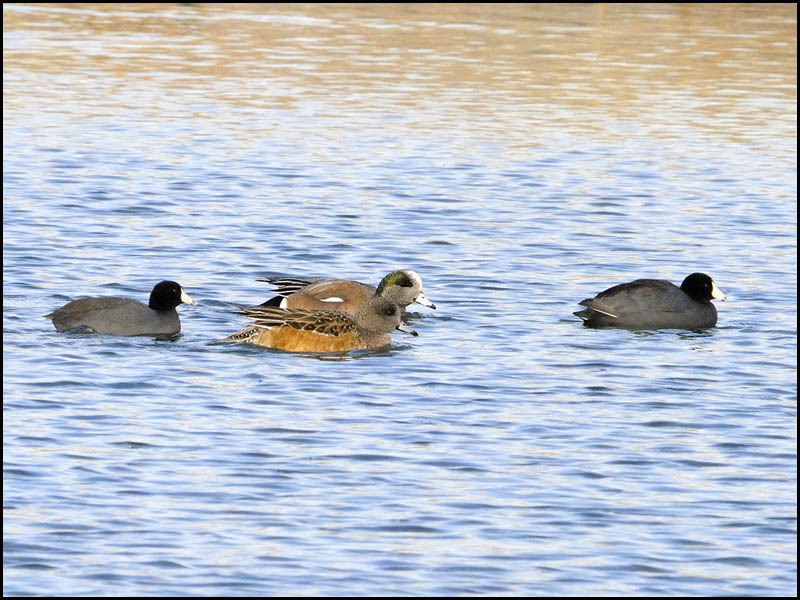 Two coots, sometimes called "mudhens", travel with a pair of American wigeon ducks.